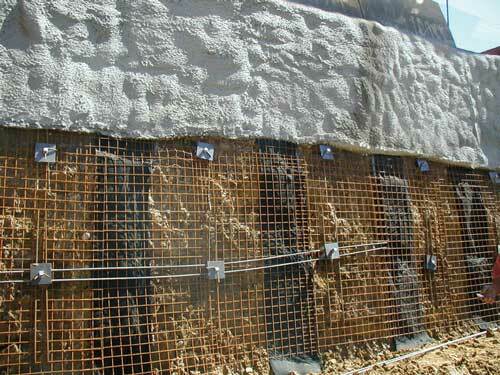 Soil Nail walls are another type of earth retention system. 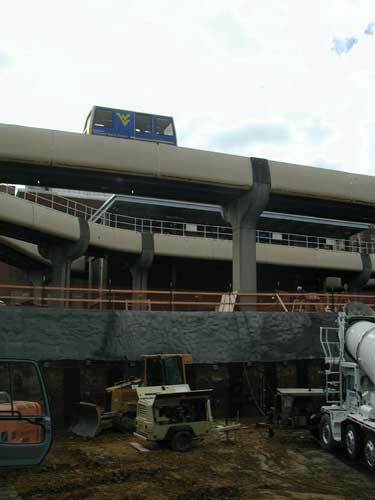 They can provide temporary or permanent stabilization of cuts and slopes. CHANCE® SOIL SCREWS® are pre-manufactured steel anchor elements consisting of a central steel shaft and several helical shaped bearing plates spaced continuously along the shaft. 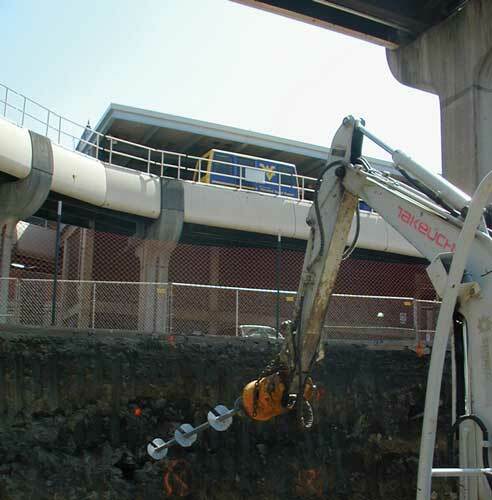 CHANCE Soil Screws® are installed by rotating, or screwing into the ground until the required nail length is achieved. Each helical bearing plate is formed into a screw thread with a uniform defined pitch. The Soil Screw is then attached to the wall face. For a complete design manual click (abchance / technical literature / design manuals / design manual for soil screw retention wall).